The Stadium was abuzz with fans on both sides cheering for their team. 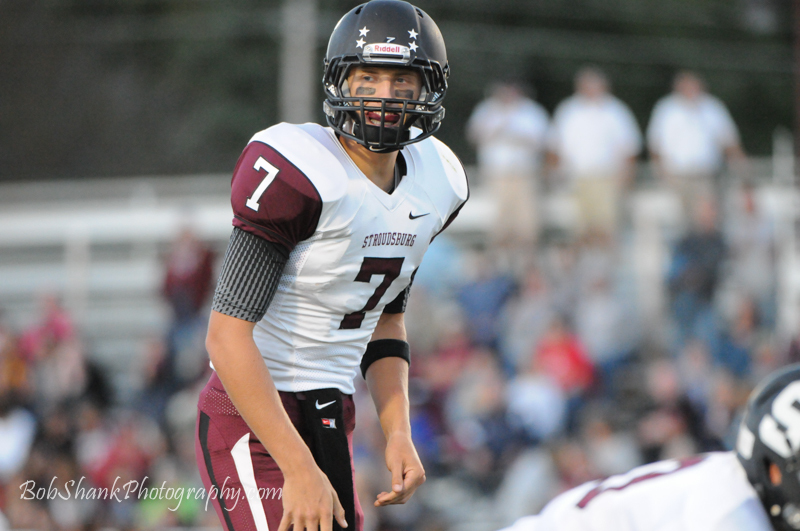 The teams came into the game looking equally matched, having both won last week. Defense was stingy and yards hard to come for both sides. Some sizable runs were snarled by linemen and linebackers filling holes and making team tackles. The final score, 13-6 in favor of the Mounties was indicative of the close game. Both teams put a quality team on the field and played a solid game. It was a great night for high school football! 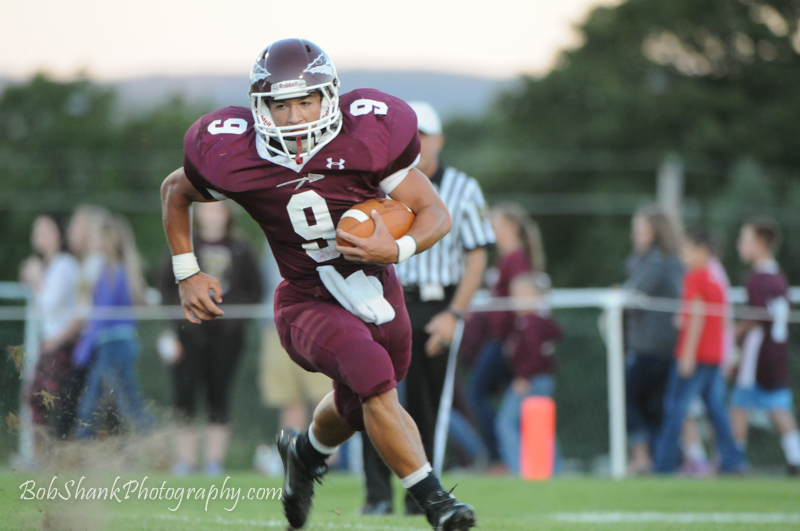 Tagged High School Football, Lehighton High School, Sports Photography, Stroudsburg High School. Bookmark the permalink.